If we were to sum up our business in one sentence it would be that we are an integrated sales and marketing consultancy working with companies that supply the regulated and industrial sectors. We help our clients be successful! Here at The Scott Partnership, we believe that PR and marketing activity should go beyond traditional preconceptions and ultimately deliver results that matter and add value – which translates in simple terms as increased sales and growth for your business. Headquartered in Cheshire in the North West of England (home of many great things including the beautiful Peak District, Cheshire cheese and the Jodrell Bank Discovery Centre to name but a few! 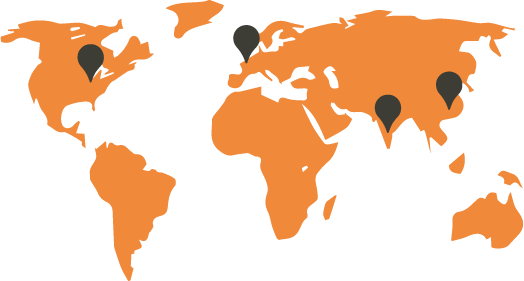 ), our global footprint expands across the UK, US, India and China which means that we have the ability to deliver culturally appropriate and targeted campaigns across multiple geographies that are relevant to your target audience. With over 20 years’ experience in translating scientific and technical excellence into commercial strategy, not only do we understand science and technology, we love it! We also love our clients and make it our business to get to know you and what matters most. So here’s the deal; you bring the scientific and technological innovation and excellence; we bring the creativity and communications expertise. We combine them to produce a strategic programme that will help you achieve your business objectives, whatever they may be. with a client has been 14 years so we must be doing something right! We’re with you through the good, and sometimes more testing times and we know what works when it comes to successfully achieving your business objectives. We can’t wait to get to know you and your business and to become partners in your success. Want to experience a true partnership? Come and work with us! Our CEO and founder, Kath Darlington leads a team of over 45 communications professionals globally who are committed to providing our clients with a high quality, creative and professional service. As well as our headquarters in Cheshire in the North West of England, we have teams based in Beijing and Shanghai, China; Delhi, India and Boston, USA which means that wherever you are in the world we have people ready to go beyond the call of duty to deliver results across the globe. In 2011, specialist scientific marketing and communications companies Kapler Communications Ltd and Phoenix MarCom Ltd became part of the wider Scott Partnership Holdings group and we work together to deliver successful campaigns across the scientific, industrial and technology industries. With our scientific and technical expertise, flair for communications, strategic focus, multi lingual capabilities and in-house graphic design team we pride ourselves on being able to cater for all your needs under one roof while also being fun to work with! 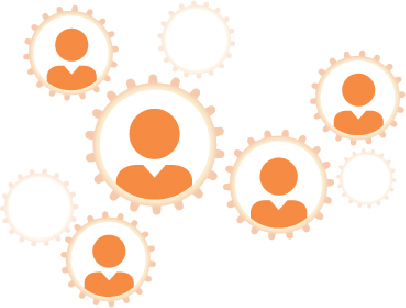 Our extensive team based in multiple geographies also enables us to deliver shared services for our clients helping us deliver the most cost effective solution for your business. We are committed to doing our bit for charity and are proud to have supported the inspirational Lake District Calvert Trust for over ten years, just another way in which we are committed to building partnerships that really make a difference. The Calvert Trust enables people with disabilities, together with their families and friends, to achieve their potential through the challenge of outdoor adventure. Make sure you visit their Twitter, Facebook and LinkedIn profiles for their latest news and to find out more about the work of this amazing organisation! We are a preferred partner of Bionow, a membership organisation that supports business growth, competitiveness and innovation within the biomedical and life science sectors across Northern England. We are proud to offer Bionow members with a range of free or discounted services including press releases, meet the media sessions and workshops on business orientated topics such as sales strategy and investor relations. We write Product Focus reports for Nature Publications Group the leading publisher of high impact scientific and medical information including Nature, Nature Methods, Nature Biotechnology, and Nature Reviews Drug Discovery. The Nature Product Focus is a two-page monthly editorial feature that includes information about the latest products released in the industry and we endeavor to include information about innovative new product introductions of interest to the life science community. So if Nature trusts us to write its technical copy and content, so should you! To secure inclusion or for more information get in touch with us via [email protected].